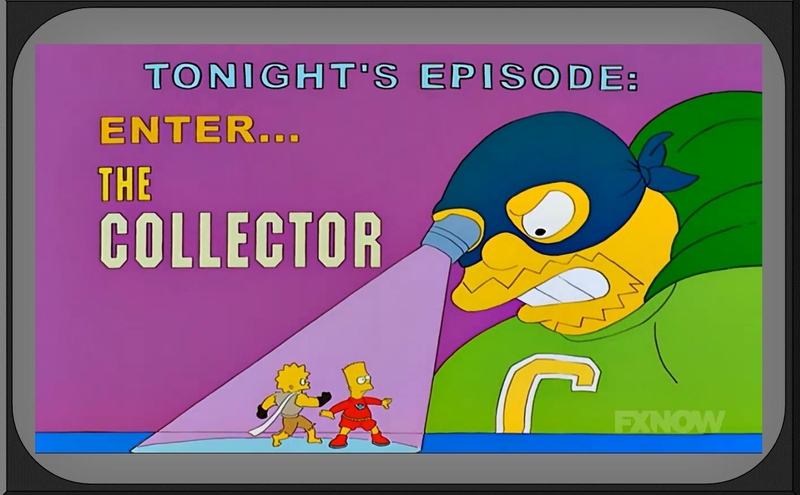 The Collector: Collecting players who share your Birthday? 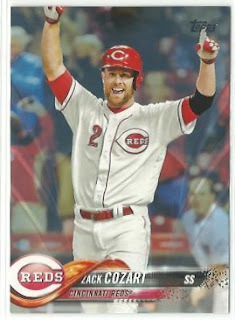 I'm not sure if this should be a "Question Thursday" or a "Blog Bat Around" or what...but do any of you collect cards of players who share your birthday? The topic came to mind from a care package between bloggers so I know there are at least a couple of you who do. 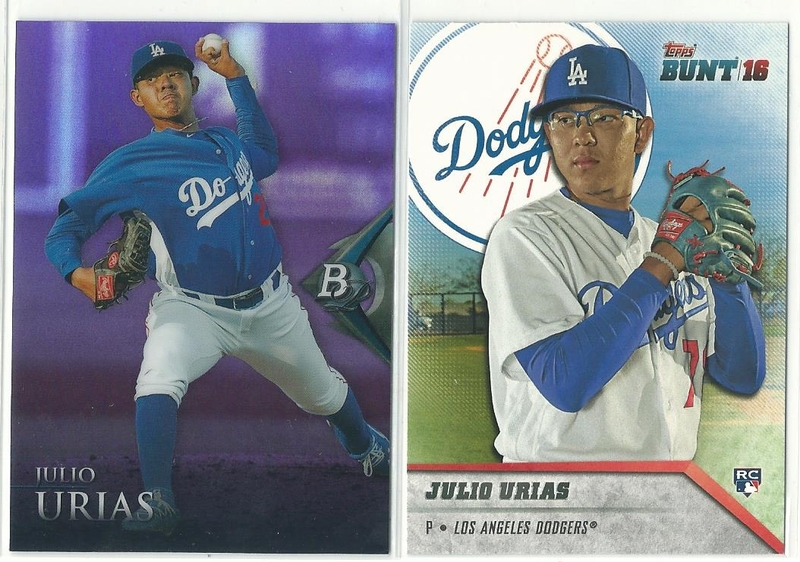 I had never thought to collect cards of players who were born on August 12. 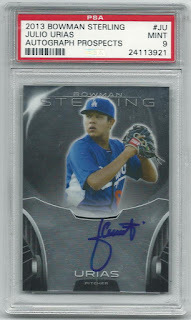 That is, until about three years ago when I was still collecting prospect cards. 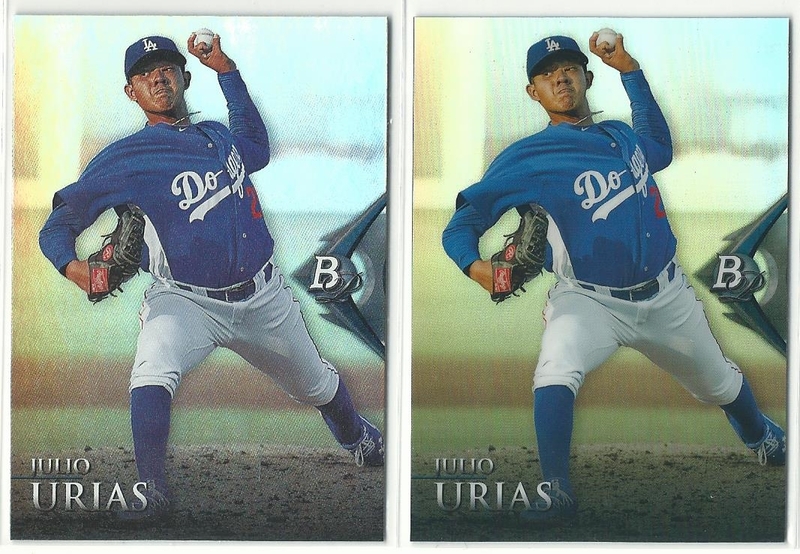 Dodgers lefty Julio Urias was born August 12, 1996 - exactly two years after the MLB players strike started, and sixteen years after I entered the world. 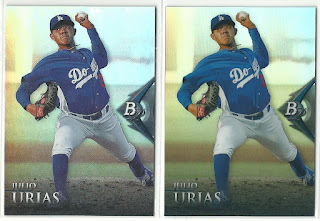 Boy, if that doesn't make me feel old..
Half of my Urias collection comes from the same set, 2014 Bowman Platinum. I haven't bought any of his cards in a while, but I'd be open to trading for a few or picking up any I see in a dime/quarter box at a card show. If I ever get to another card show. Obviously my birthday buddy is not the highlight here. 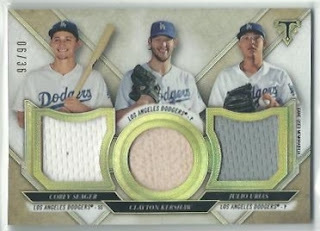 Earlier this week I made the somewhat difficult decision to include this triple relic card in a blockbuster swap. Parting with this card (and reading Night Owl's latest post) got me thinking about what other players were born on my birthday. Zack Cozart is probably the best active player in baseball with my birthday. I pulled this Mother's Day Pink (I think?) parallel from a birthday-related purchase. 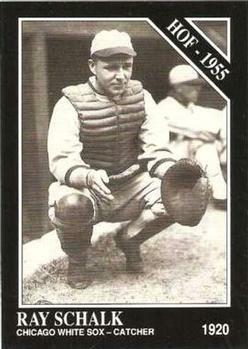 Two Hall of Famers were born on 8/12 (in the 19th century): Christy Mathewson and Ray Schalk, who was one of the not-crooked members of the 1919 "Black Sox." I'm going to try and add a Schalk card to my collection but he has very few modern cards. 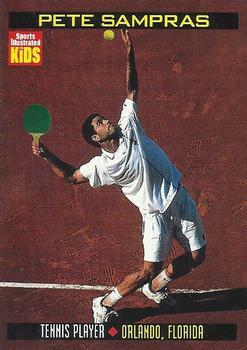 Pete Sampras has even fewer cards than Schalk. I'd always assumed he was the greatest athlete born on 8/12, since he was active and dominant while I was growing up (PTI saluted him on their Aug. 12 shows for about a decade) I don't have any of his cards but I definitely want to get one. Does anyone know of a tennis card collector? Chris Chambers was born exactly two years before me. Plaxico Burress was born a year before him. Titans tight end Delanie Walker is the best active NFL player with an 8/12 birthday. 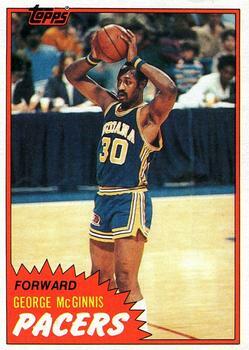 Basketball Hall of Famer George McGinnis also shares my birthday. I don't have any of his cards. Perhaps I should add a couple to my wantlist. Here's a guy who shares my exact birthday. 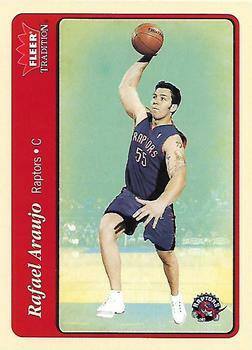 Brazilian baller Rafael Araujo was born August 12, 1980. I don't have any of his cards in my collection, either. Khris Middleton and Antoine Walker are bigger 8/12 names who are represented in my basketball box. Colin Hemingway was also born the same day as me. He played only 3 NHL games, and appears on 54 cards. I have at least one in my collection - but the Black Diamond Update card is part of my set and it doesn't scan well anyway, so I used a card I don't have. This serial numbered SP Authentic RC is now on my TCDB wantlist. 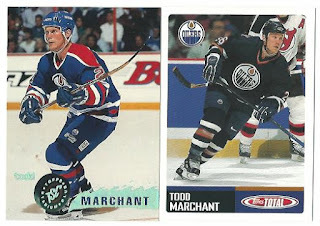 Todd Marchant won a Stanley Cup with Anaheim in 2007 and played in more games than any NHL player born on the twelfth of August. He was one of my favorite Oilers of the late 1990s-early 2000s. I hadn't been aware of any (team) sports stars who shared my birthday before collecting his cards at the time. Which pro sports stars were born on your birthday? Do you collect their cards? I may have a few...checks spreadsheet...or 2096. LOL I knew you had a lot, but..wow. That's a very impressive total. Miley Cyrus was born on my 11th birthday. Any athletes that you know of? I haven't checked the list of celebs born on my bday in a while..the only one I remember off the top of my head is Peter Krause. I collect Bob Feller. I figured this out this year for the 100th anniversary of his birth. Also my 12th. Awesome. I've collected a few Feller items myself. I've added your blog to my reading list. I don't have too many from my sports. Only two NBA players, Anthony Avent and John Johnson. For NASCAR only Billy Myers, who I think I have every card of. Lindsey Vonn shares my exact birthday. Hockey has a few, most are not yet in my collection. 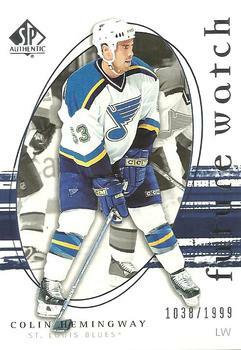 Doug Lidster is the biggest name, and I know Kjell Samuelson is in my collection. Non-sports has the biggest names- Chuck Berry, Dawn Wells, Zac Efron and Lee Harvey Oswald are the biggest names. Pretty cool that you were born on the exact same day as Lindsey Vonn. Came for Doug's comment, leaving satisfied. Nice to have a few more players to try to track down for you. Lol, Doug and Gavin are who I thought of when writing this post. I have birthday Binders for my birthday and my daughters. Lots of players. That's a cool idea! I don't know who my daughters share bdays with. I'll have to look it up. I don't have a ton of options, at least last time I looked. Marv Throneberry was about it, and I have picked up a couple of vintage cards of his and even a buyback for that reason alone. You've got a good group to select from for your b-day! Yeah... started my collection back in 2010. 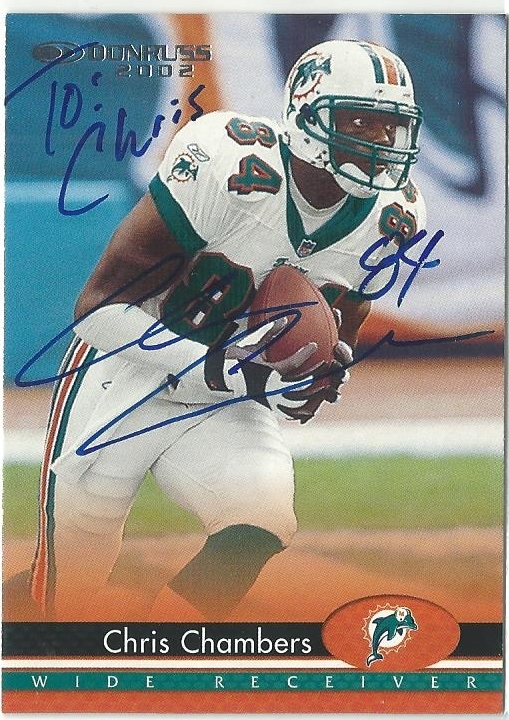 Biggest names are Tim Hardaway, Jason Taylor, Karl Mecklenburg, and Garry Maddox. But I actually enjoy collecting memorabilia from events that took place on my date of birth even more. So far I've collected an Oakland A's ticket stub and a few autographs of guys who hit home runs or threw complete game shutouts. That's a neat idea, too. I have a Nolan Ryan Topps insert that highlighted something he did on 8/12. Other than that (and the strike) I haven't made a note of any games or achievements. I don't collect players that share my birthday. If I did, Chris Sale and Alex Bregman would be the highlights! Wow - you were born on the same exact day as my wife! 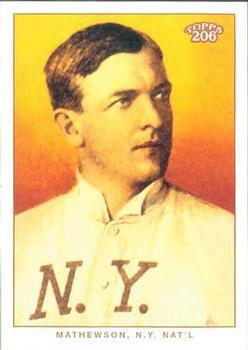 It would have been Christy Mathewson's 100th birthday. Ruppert Jones hit a walk-off HR for the Yankees that day. And you have a meteor shower every year on your birthday! Really?!? What a coincidence! I'll have to look for that meteor shower. Coool! Thanks for sharing this. I happen to collect one guy that was born on the same date. Ivan DeJesus. The other notables are Stan Javier, Otis Nixon, and Ralph Terry. I did know about Bart Starr and Chad "Ocho Cinco" Johnson from football, and Muggsy Bogues from NBA. But I prefer (and post about annually about) Kate Middleton, Nina Dobrev and Nicola Pelz, who are much prettier than all those guys. Lol, pretty girl posts are always enjoyable. Princess Kate and Bart Starr? That's awesome. I did a post on this a couple years ago (no surprise, on my birthday). Quite detailed, too. My highlights are Shoeless Joe Jackson and Phoebe Cates. Yes I have cards for both. Can you post a link for me? I tried to find it in your archives but failed. I should have known this idea had been done. Great post, and a very strong list of birthday mates. I chuckled at the mention of Jerk-face Claude Lemieux. And the Charles Smith card is fantastic. I just happen to share a birthday with Bob Griese and Fran Tarkenton (who both led their teams to Super VIII in 1974--Bob's Dolphins won 24-7). I do have cards of them in partial sets but that's it. Interesting that both HOF QBs were born on the same day, and that you share a birthday with them.